Double the amount of food you cook in your Bradley Smoker. Great for the production of fish fillets, sausage, or other foods that demand a large cooking surface. 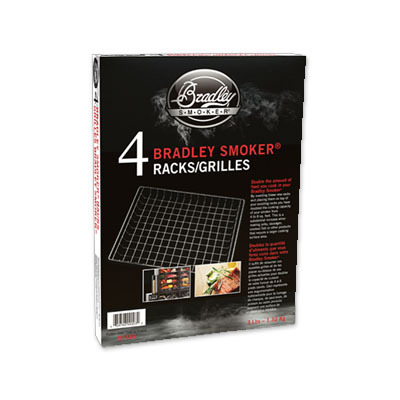 These Extra Racks are designed to double the cooking area of the Bradley Smoker by inverting the racks, and setting them on top of the existing racks.